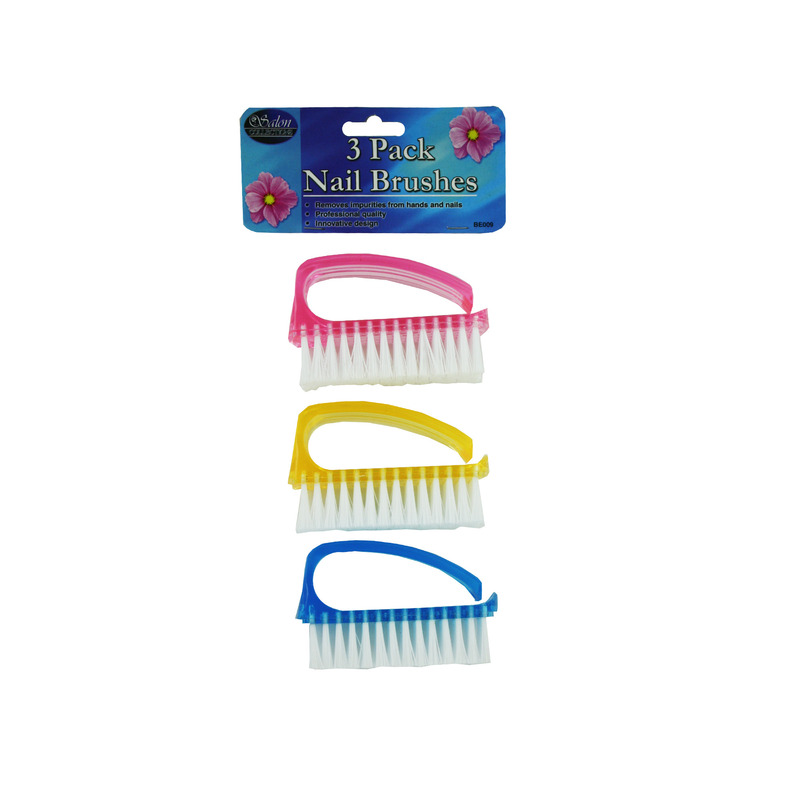 Help remove impurities from hands and nails with this 3-piece Nail Brush Set featuring professional quality plastic brushes in transparent colors. Each brush measures approximately 3" long with 3/4" long bristles. Comes packaged in a poly bag with a header card.